As a road rage accident attorney in California, I know that roadway agression is a very serious problem. Each year, millions of drivers engage in extreme episodes involving road rage on the nation’s roadways. These incidents can result in serious accidents that may result in death or severe injury. It is important to understand the common scenarios in which road rage tends to arise and then to take steps to avoid them. According to the AAA Foundation for Traffic Safety, almost 80 percent of U.S. drivers reported becoming very angry and aggressive or engaging in road rage at least once in the past year. Frighteningly, around eight million people engaged in severe road rage behaviors, including getting out of their cars to confront others or ramming into cars. 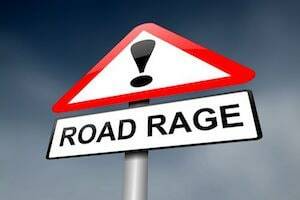 Out of approximately 214 million registered drivers in the country, an estimated 101 million purposefully tailgated other vehicles out of anger. Three percent, or 5.7 million people, admitted to slamming or bumping other cars in road rage incidents while another 7.6 million admitted that they had gotten out of their cars to confront other drivers. Twenty-four percent of drivers reported that they had tried to prevent other vehicles from switching lanes, and 12 percent admitted to cutting off other cars on purpose. Other problematic driving behaviors including making angry gestures, honking and yelling to express their anger. The data in the study was culled from 2,705 drivers ages 16 and older who had driven in the past month. AAA also reported that people tend to under-report problem behaviors, meaning that road rage may be even more prevalent than what is indicated in the study. Drivers between the ages of 19 and 39 and those who were male were likelier to have engaged in aggressive driving or road rage incidents. The results showed that men were three times more likely to have had road rage incidents than were women. Road rage incidents may arise out of several common scenarios. When a person merges onto a highway or into a lane, he or she may cause another driver to react aggressively if he or she doesn’t leave enough room before moving into the lane. Other cases may happen when people drive more slowly than other traffic in the left lane rather than simply using it to pass. Not allowing sufficient room between a vehicle and the one in front of it can also make the driver who is being tailgated erupt in anger. Making obscene gestures may result in another driver’s reacting even more angrily. The AAA Foundation for Traffic Safety recommends a number of steps that people can take in order to avoid getting involved in a road rage situation. If another driver is yelling or gesturing, it is important to simply ignore them and not to engage in a fight. If you have angered another driver, you should try to stay away from him or her as an angry driver can suddenly snap. Never pull over to the side of the road. Simply try to fall back and put a substantial amount of distance between your vehicle and the angry driver’s car and then get away from the area quickly. You should also call for help if another driver is attempting to fight with you or is following you. If you do not have a cell phone with you, go to a busy convenience store and make the call from inside of the store using the clerk’s phone. Because there are so many cars on the road and Americans are very busy, the stress of commuting can make them easily boil over with anger about minor annoyances on the highway. When another driver reacts and makes it a contest, human nature is for people to try to win. This can make these types of incidents quickly escalate as people spin out of control. In some cases, only one driver will be acting angrily, and he or she may alone be the driver engaging in road rage against someone else. Road rage incidents have been reported to result in serious accidents and even deaths. In some cases, people have been shot and killed in such incidents. It is important to be aware of how dangerous road rage can be and to avoid it at all costs. If you or a loved one has been seriously injured because of another person’s aggression on the road, you may want to file a civil lawsuit against the driver. A personal injury attorney may help you to hold the personal accountable for his or her actions and to recover monetary compensation for your losses.